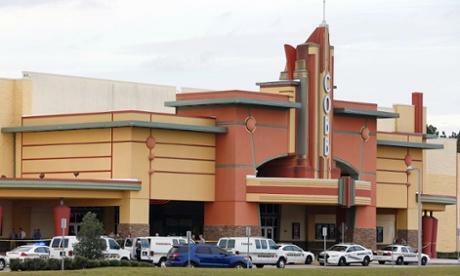 *(Via Orlando Sentinel) – A retired police captain shot and killed one moviegoer who was texting and wounded his wife on Monday in a Florida theater showing the hit new war film “Lone Survivor,” authorities said. Doug Tobin, a spokesman for the Pasco Sheriff’s Office, said the shooter, identified by local media as 71-year-old Curtis Reeves, was waiting for the film to begin with his wife when they got into an argument with another couple in the row of seats directly in front during the previews. Reeves retired from the Tampa Police Department on Sept. 30, 1993. He also served as security director at Busch Gardens until 2005, according to the Tamp Tribune. At some point, Reeves brandished a gun and shot both Chad Oulson, who was texting, and his wife Nichole Oulson, the Sheriff’s department told CNN. Oulson was texting his 3-year-old daughter, the Tampa Tribune reported. Get MORE of this story at the Orlando Sentinel. Well, if his records with the Tampa police aren’t examined more closely, who knows what else he may have done?